Sunny skies. High around 75F. Winds SSW at 5 to 10 mph..
A mostly clear sky. Low 58F. Winds light and variable. 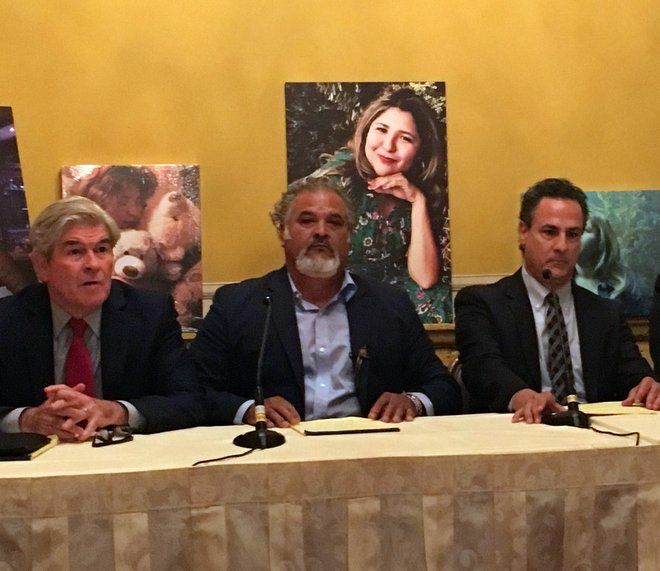 Silver Lake — The family of Melyda “Mely” Corado, an innocent bystander killed by an officer’s bullet during a gunbattle outside the Silver Lake Trader Joe’s, today said they filed a wrongful death suit against the LAPD. The lawsuit claims that officers failed to follow the department’s policy on using deadly force when they opened fire on a suspect. One of those officers’ shots killed Corado, a 27-year-old store manager. The lawsuit, which was discussed at a morning news conference, also alleges that the LAPD conspired to justify and cover up the misconduct. Corado was killed on July 21 when a police chase ended in a gun battle outside her store. Officers had been pursuing Gene Evin Atkins, who allegedly shot his grandmother and another woman earlier in the day, when his car crashed into a post in front of the Trader Joe’s on Hyperion Avenue. Officers and Atkins exchanged gunfire as he emerged from the car and went into the store. It was during this time that 27-year-old Corado was shot, went back into the store and collapsed near the manager’s station, according to police. Police chief Michel Moore has apologized over the shooting as the department conducts an internal investigation. However, the department has yet to fully respond to the attorney’s allegations. The lawsuit, which also names officers Sinlen Tse and Sarah Winans and the City of Los Angeles as co defendants, seeks unspecified general and punitive damages and legal fees.